Good Golly, this one is an attention getter! 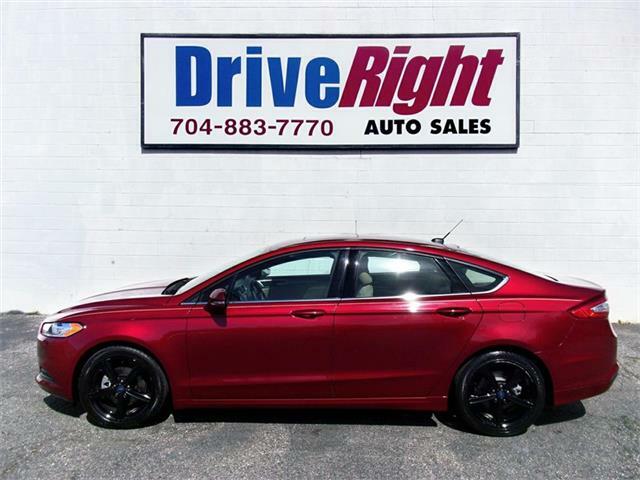 The lines on this super cool Fusion are modern and stylish and the pick up and performance are impressive. (Even if you are super picky.) The gas mileage will impress for sure! All this and Ford's supercar is complete... Except for a driver, that's where you come in! We make it so easy at DriveRight. Apply today - drive today, with super affordable financing and great customer service after the sale... why, oh why, would you ever consider going anywhere else. Call today for more info or come by soon for a test drive.